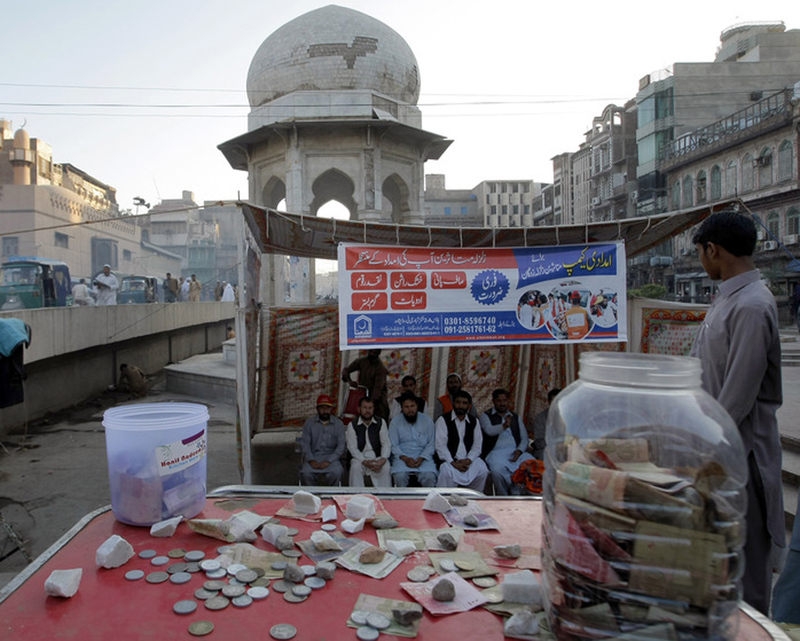 PESHAWAR -- Pakistan's federal government has alerted authorities in all provinces to keep a strict watch on the collection of zakat and fitrana during Ramadan to ensure donations do not go towards militant groups. "The government knows that Pakistanis give donations in the form of zakat and fitrana during the holy month of Ramadan, which [if unchecked] can be used by militant groups for purchasing arms, ammunition and bombs," Minister of State for Interior Affairs Tallal Chaudhry told Pakistan Forward May 8. "All provincial governments have received directives to curb the collection of funds by militant organisations, abiding by the National Action Plan [NAP] of 2015, which forbids such giving and taking such donations," he said. Militants used to fund their operations through kidnapping for ransom and extortion, Chaudhry said. But military campaigns in the Federally Administered Tribal Areas (FATA) and other areas of the country dried up that funding source. The Khyber Pakhtunkhwa (KP) Home and Tribal Affairs Department has issued instructions to police on how to prevent militants from collecting donations under false pretenses, KP Information Minister Shah Farman told Pakistan Forward. "We have also enlisted the support of religious scholars to foil militants' attempts to increase their funds for financing terror," he said. 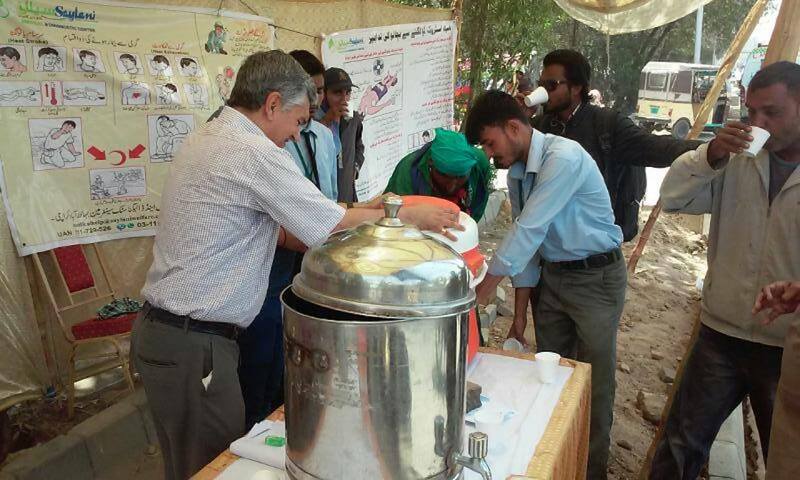 "There is a countrywide crackdown on the collection of donations by militants." Earlier this year, the Sindh Police Counter Terrorism Department (CTD) drafted a bill aimed at preventing banned groups from collecting donations and at stopping the misuse of charitable funds for terrorism. The Charitable Funds (Regulation of Collections) Act 2018 focuses mainly on charities associated with banned outfits, Additional Inspector General of the CTD Sanaullah Abbasi told Dawn in January. It has been observed, Abbasi said, that some charities function as a front for militant outfits to finance their nefarious activities. "In some cases, it came to the knowledge of law enforcers that such charitable funds are being used by outlawed organisations to spread terrorism and extremism," he said. On May 4, four suspected militants accused of ties with Lashkar-e-Jhangvi (LeJ) and Tehreek-e-Taliban Pakistan (TTP) were arrested by the Sindh CTD, Dawn reported. The suspects reportedly admitted to collecting funds and to recruiting youth for LeJ and TTP. "Islam wants the wealthy to donate to the poor," said Khadim Hussain, a Peshawar-based security analyst. Terrorist organisations such as Lashkar-e-Taiba and Jamaat-ud-Dawa have posed as religious outfits to exploit the public's good intentions, taking charity donations and preventing them from reaching ordinary Pakistanis, Hussain told Pakistan Forward. "In the past, religious festivities, including Eid and Ramadan, have been a blessing for terrorists who capitalised on the sentiments of the faithful to raise much-needed funds," Hussain said. Pakistanis must be educated about the dangers of donating to religious schools, mosques and charities that have connections with TTP, al-Qaeda and other banned groups, said Brig. (ret.) Mehmood Shah of Peshawar, former security secretary for FATA. "Sectarian and terror outfits, including LeJ, Sipah-e-Muhammad Pakistan, Jaish-e-Muhammad and Sipah-e-Sahaba Pakistan, have been working to frighten individuals [into donating] money," he told Pakistan Forward. "The government should plug all channels of their funding." Banned radical organisations deceive the faithful in the name of religion, he said. They use social media, text messages, phone calls and religious gatherings and conferences to raise money. "It is an essential part of the NAP to stop the funding of militant groups and disrupt their funding channels to combat terrorism," Shah said. "Curbing the flow of funds to terrorists is desperately needed to deny militants monetary support and a chance to re-emerge after their disappearance thanks to military operations." terrorism con be curb by stopping the foreign involvement. Actually you don’t have correct information, thats why you have mentioned the name of Jamat ud Dawa as terrorist group. Rectify your information. Curse on your lie, in which you have shown your anti state and sectarian nefariousness by comparing a patriot party like Jamat ud Dawa with TTP. Militants collect substantial funds during Ramadan, an abuse of the public's charitable instincts. Militants exploit Pakistanis' generosity during the Muslim holy month by setting up phony charities, warn civil society groups. 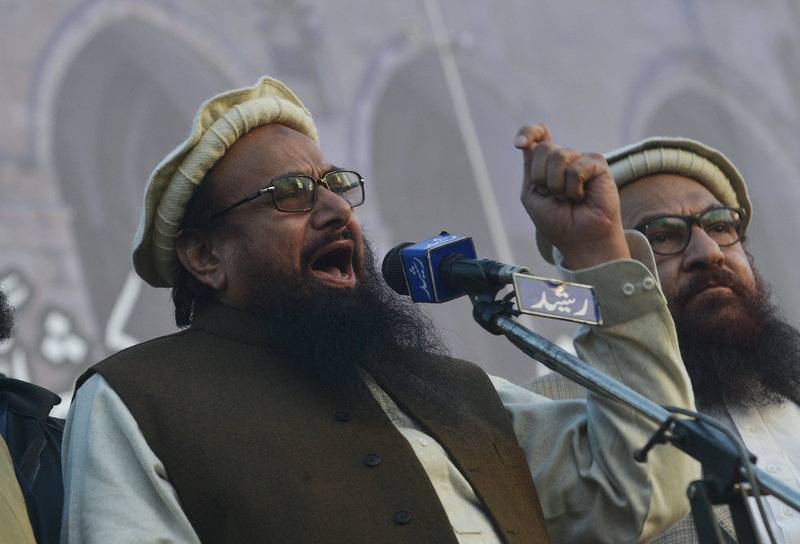 The move aims to stop the operations of the proscribed Jamaat-ud-Dawa, led by Hafiz Muhammad Saeed, and its charity wing, Falah-i-Insaniyat Foundation.